and people of North and South America during the early modern era. Sanjay Subrahmanyam shares the award in the category of 'Past Time Dimension' with Prof Kenneth Pomeranz of the University of Chicago. The Dan David Prize is a joint international award given by the Dan David Foundation headquartered at Tel Aviv University. The award was instituted by late Dan David, an international businessman and philanthropist who envisioned a project that would extend beyond traditional academic categorisations. Past category is generally drawn from the fields of history, archaeology, palaeontology and biography. Present category from arts, media, policy and economics. Future category from one of the exact or natural sciences. The award in the "Present" category for "Defending Democracy" has been won by 'Reporters without Borders' and Prof Michael Ignatieff. The prize in the "Future" category for "Combating Climate Change" has been won by Christina Figueres, a Costa Rican diplomat. To encourage and foster new generations of scholars, the awardees are required to donate 10 per cent of their prize money towards scholarships for graduate or post-graduate researchers in their respective fields. Q. 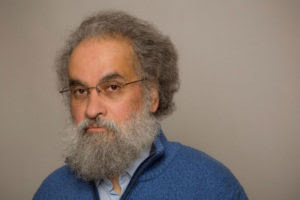 Which Indian historian has won the prestigious Dan David Prize of Israel for the year 2019?